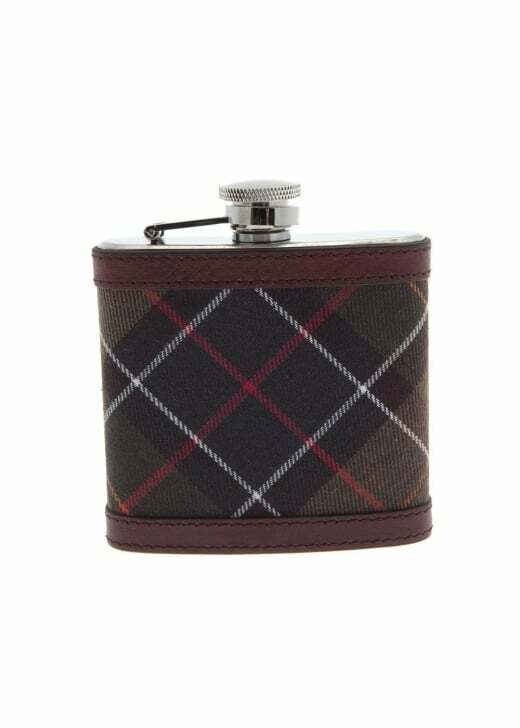 The Barbour Hip Flask is made from durable stainless steel with premium leather trims and a practical hinged screw-fastening lid. The Barbour Hip Flask is made from durable stainless steel with premium leather trims and a practical hinged screw-fastening lid. Barbour's Original Classic Tartan adds a heritage-inspired look,making it the perfect gift.